Two years ago, to the minute at the time of this writing, my beautiful baby girl came into this world. 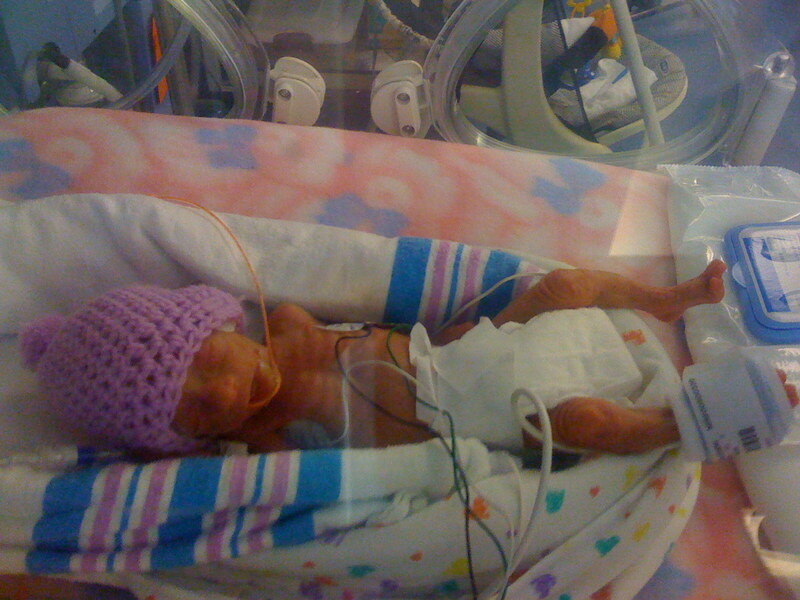 For those of you who do not know, she was born 12 weeks early weighing only 1lb 7oz and just shy of a foot long. Now here we are, 730 days later, and she is an absolutely amazing toddler. Wow. Words cannot describe our entrance into parenthood. But we’ve done our best to paint a picture with this blog. It’s rarely updated these days because much of our time is spent working or just being together as a family. There are a few things I’ve been able to learn while these two years have sped right by. I thought I might share some of them. Sorry, I couldn’t resist the pun on this one. Brady has been a blessing to us since day one. Sure we had an array of emotions seeping out of our pours when she was born. But we still knew right away at how blessed we were. In the past two years both Mommy and I have had opportunities to share our story. About what God has done for our family. About how technology played a role in Brady’s survival. And about how we’ve been impacted as a family. It’s such an honor to help and serve others who go through similar experiences. This one will, in theory, be a continual learning process. Because of Brady I’ve had opportunities I would not have otherwise had. I’ve had experiences I would have not otherwise had. Some of these opportunities and experiences are directly related to serving and loving my wife as Christ did the church. I have the utmost adoration for my bride and can’t believe how blessed I am to have her in my life. One day Brady will know the same to be true for her. I thought I knew what patience was before Brady came along. After being a dad for a couple of years I have accepted that I may never know what patience is. What I do know, though, is that my God is ready to help me when I need it. His Word is a lamp unto my feet and a light unto my path. If I can’t find patience it’s because I forgot my lamp. I’m not sure how many “plans” I’ve had since we found out we were expecting. I do know that most of them haven’t panned out. I’ve realized that I shouldn’t spend so much time planning the details. I should love and serve my God and my family. Then see where it takes us. This has been written for almost 2 weeks. I want to go ahead and post it so it doesn’t sound odd a month from now with the first sentence exclaiming that it’s 2010 and it be February. That would just be silly. Hopefully Erik will get some time to add his thoughts and some pictures to the post and give you a little more than what is already here. It’s 2010. What?!?! Seriously, time goes by so fast. 10 years ago I was still in high school and a nerd. 10 years later I am a mother and well, still a nerd. So much has changed in the last ten years and the best changes were meeting Erik and having Brady. My life is so much more rewarding thanks to those two very special people. I was so ready for 2008 and to be over and I think that was pretty understandable. A lot of unexpected and scary thing happened in 2008 and many of them were recorded on this blog. It’s been really neat to be able to see what I was doing on certain days in 2008 and where Brady was. Although, I was so glad to say goodbye to 2008 it was nice to be able to reminisce. I am a member of an online community called Babycenter.com and one day there was a post asking “what were doing doing this time last year?” I was able to say exactly what I was doing. And it happened to be a year to the day that Erik held Brady for the first time. Unfortunately Erik and I have not kept the blog up like we should. There are definitely gaps in the story these days, but I would like to recap the some of the milestones of the past year. Milestones are huge for every parent, but for preemie parents each milestone is not so patiently waited for. There are so many other things that I can’t remember, but in the past year Brady has gone from a baby to a toddler. Everybody said that she would grow up so fast, but I just didn’t realize how fast it would really happen. For the most part 2009 has been fabulous. Brady has had her share of illnesses but they have all been blips on the screen except for a bout of RSV and pneumonia which put a damper on November. She was in the hospital for 4 long days and got over the pneumonia to get a stomach virus which threatened us with another hospital stay. That never happened (THANKFULLY) but Brady has spent a total 100 days of her short life in the hospital. Wow, that’s a whole lot of time in the hospital for a 17 month old. Anyway, 2009 has been great. We have so much to be thankful for and we are most definitely thankful to God who has blessed us beyond anything we would have ever imagined. I am sure that 2010 will be wonderful and full of more surprises. Surprises are Brady’s specialty! It’s November and this month happens to be prematurity awareness month, and today is Prematurity Awareness Day. It’s time for people to get educated about prematurity. I know most of you have some sort of knowledge about prematurity. You read this blog and many of you are loyal followers so you know the trials and tribulations that come with having a preemie from a readers point of view which is a start and better than no knowledge. The March of Dimes put out their second annual Prematurity Report Card for the USA. 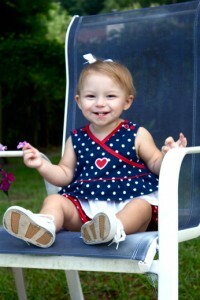 Can you believe that 1 out of 8 babies are born prematurely in the United States. That’s insane. We need to educate ourselves on the importance of prematurity. The USA gets a “D” on this report card and Georgia gets an “F”. Obviously the issue of prematurity is close to my heart. If I had been more educated about my body and the fact that babies are born too early Brady might have stayed put a little longer with the help of bedrest. God obviously has different plans for us and that is ok, but that doesn’t mean I can’t get the word out there to pay attention to your body when you’re pregnant. Don’t think everything is ok. If something seems to be not normal go to the doctor and don’t let them blow you off. Help the March of Dimes reach their goal of many babies staying put until term. Be educated. Check out www.marchofdimes.com to learn more about prematurity. Let babies like Brady give you a desire to educate yourself about prematurity. They are strong little fighters and you should get to know more about their struggles and how you can be educated and help prevent prematurity.